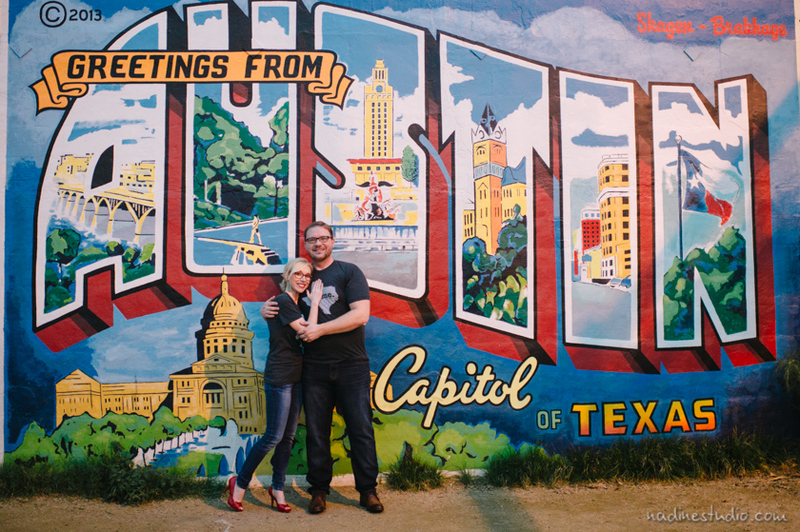 Whether your wedding guests are playing tourist or you’ve always called Austin home, if you live in the Capital of Texas, it was probably a big part of your relationship, so you’ll want to make it a big part of your wedding too. Follow these tips to give your wedding that special Austin vibe and keep it hip, texan, and most importantly, weird. Nothing says Austin like globe string lights, succulents, picnic tables and live oak trees, and many Hill Country Austin venues, such as The Wildflower Barn, offer variations on this aesthetic pre-packaged. You can add to the ranch style feel by decorating shabby chic with antlers and skulls from Uncommon Objects. Or even embrace the old school Texas flair by having a honky tonk theme, complete with lacey dresses, drop earrings, cowboy boots, jeans, and bolo ties. You could even have your first dance together be the Texas two step! And don’t forget to include a big ol’ Texas flag. Austin is all about the outdoors, so wherever you choose, make sure mother nature is invited to the party, but even though it would be classically Austin, if you want to win Grandma over, don’t have it during Austin’s lengthy summer heat. Click here for a quintessential, ranch style, burlap decor wedding in Wimberly, Texas. And it’s not just Ranch/Hill Country style either. 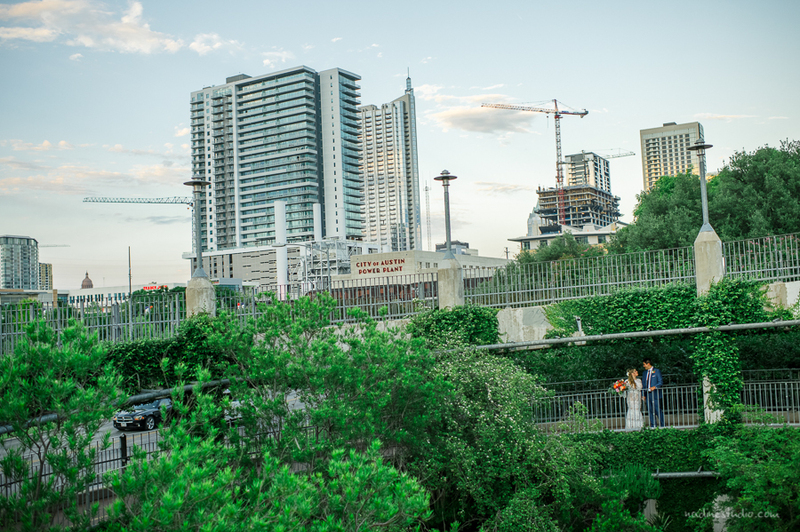 There are many opportunities for a downtown, urban Austin feel! There are many venues right inside downtown like the elegant The Austin Club, sip artisan cocktails at Malverde, or celebrate it bed and breakfast style at Hotel St. Ceclia! Don’t miss out on the opportunity to incorporate the “I love you so much” mural into your wedding, from featuring it in a pre-wedding photo shoot, to displaying it on the invitations, to having it as a backdrop for a guest photo booth. Speaking of photo shoots, you might as well use the Greenbelt, Mount Bonnell, or even a seasonal field of Texas Bluebells, as a backdrop for photos you can later display at your wedding, and show off Austin’s (and your) natural beauty. Keep that Austin vibe alive by hanging pinatas from one of the many pinata shops around town, temporary tattoos for a nod to the hipsters, and it wouldn’t be an Austin party if there weren’t a few dogs running around, so be sure your venue is dog friendly. To truly celebrate the “Live Music Capitol of the World”, you’ll want to book a band. 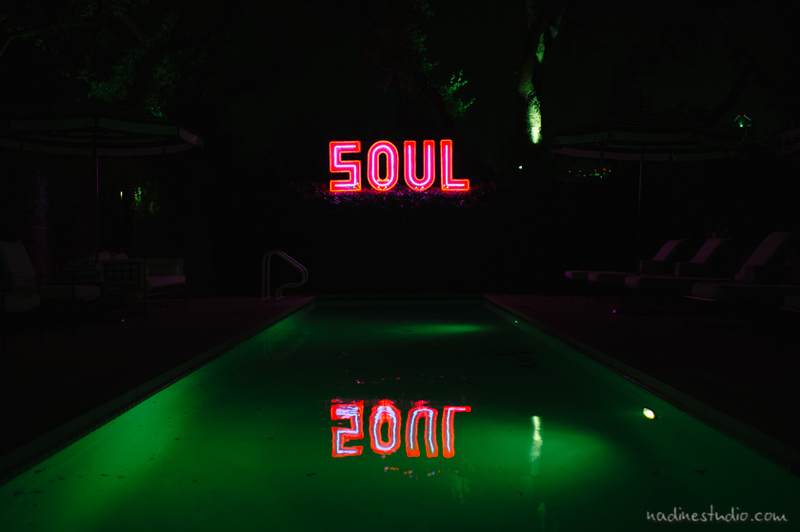 Bands like Austin Heat or High Fidelity offer weddings a classic Austin soundtrack of soul, blues, and rock n roll that will have everyone gettin down like they were out on Red River. But if that’s not in the budget, at least throw on a few Willie Nelson love songs, preferably on vinyl. You’ll want local favorites like Antonelli’s Cheese and Amy’s Ice Cream to make an appearance, but if you really want to scream Austin, food trucks are the way to go, from Torchy’s Tacos, to Valentina’s Tex-Mex Barbecue, to the LGBTQ friendly Texas Chile Queens, there are many ways to celebrate Austin culture with mobile food. And with about thirty breweries in Austin (512, Hops and Grains, and Real Ale to name a few favorites), and crowd pleasers like the flavored vodka’s from Deep Eddy, it will be easy to keep the bar just as Austin as the food. 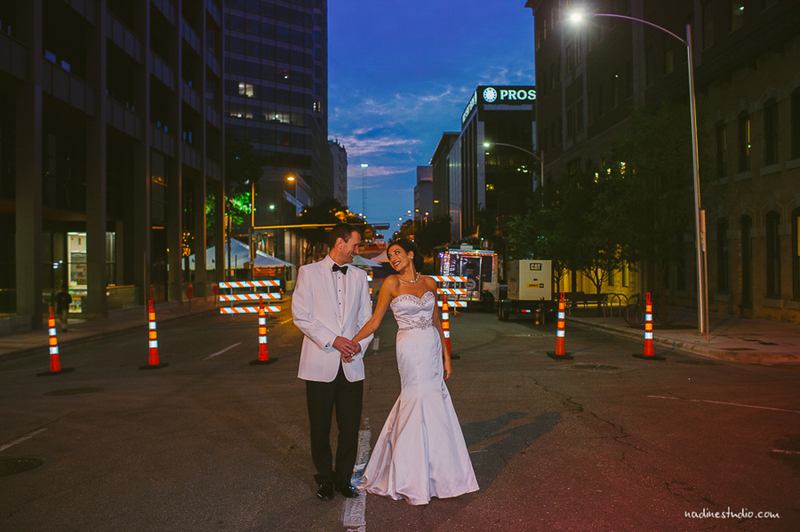 And at the end of your beautiful Austin wedding, once everyone is full on texas toast and jalapeno margaritas, jump into a pedicab, with “just married” sign and shoes trailing off the back, and ride off into the big Texas sunset. 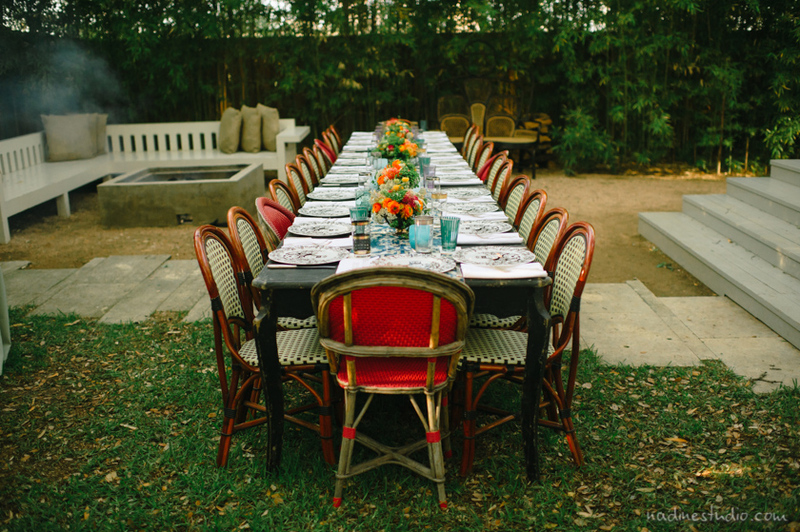 Have any other ideas to add some Austin vibes your wedding? Let me know!